Անհատական համակարգչով աշխատելիս օգտագործեք ժամանակակից բրաուզեր (Firefox կամ Chrome). 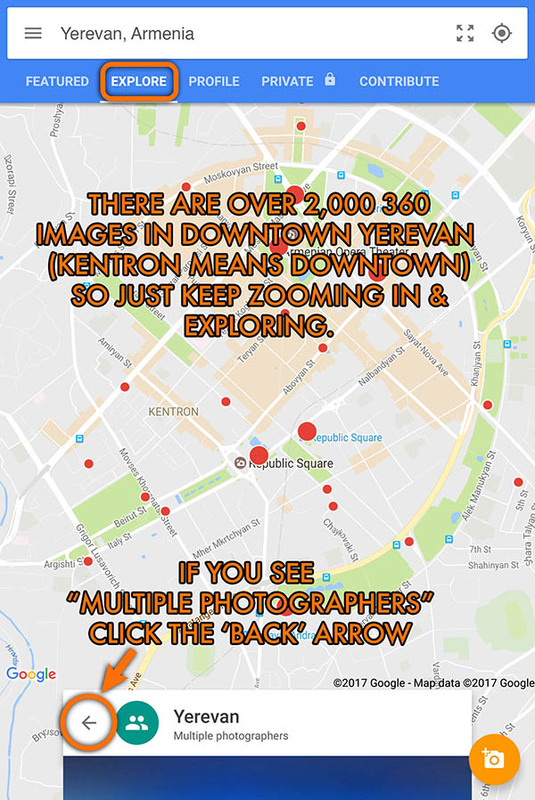 downtown Yerevan contains over 101,000 360 degree photos at present (in the beginning we started with only 2,500 photos). 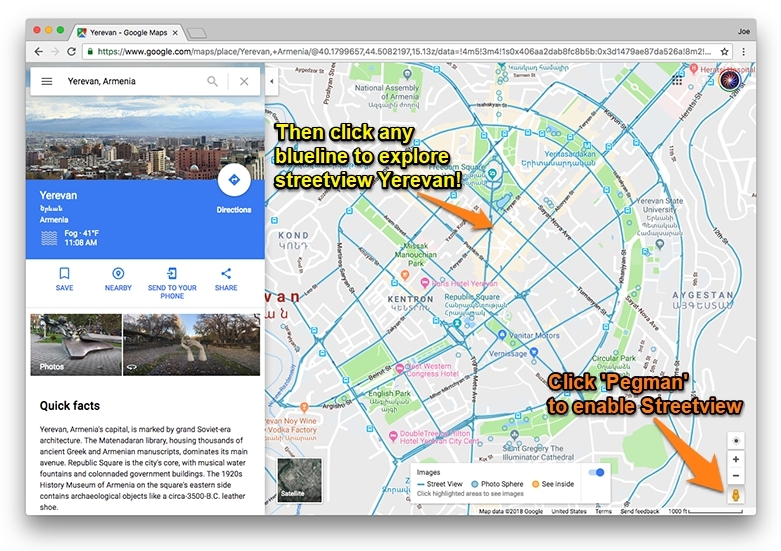 Update (11-30-2018): We're constantly adding more and more images all over Armenia, we currently have over 235,500 images on streetview in Armenia! Դուք կտեսնեք կապույտ գծեր ունեցող քարտեզը, կապույտ գծին պատկանող յուրաքանչյուր կապույտ կետը լուսանկար է (Google- ի բրենդային 360 լուսանկար) Երեւանի կենտրոնում առկա է շուրջ 101,000 հատ 360 աստիճան լուսանկար ՝ ամենասկզբնական 2500-ի փոխարեն. Ստորեւ բերված նկարի ներքեւում դիտեք օրինակ. 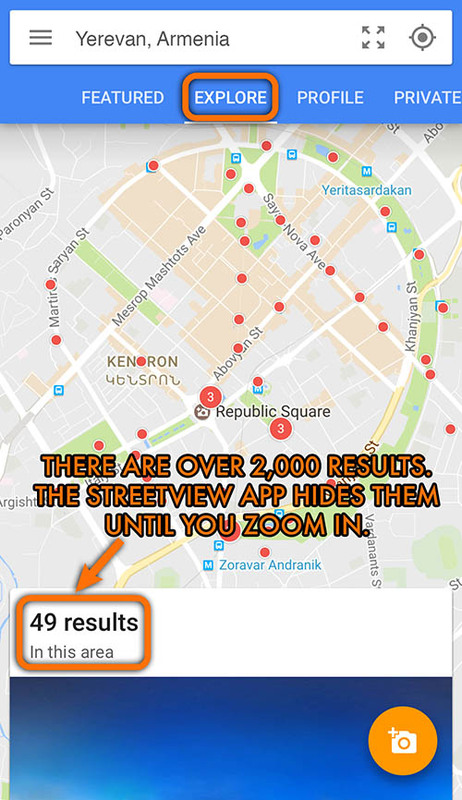 Make sure the Explore tab is selected and then zoom around to look for places of interest. you'll need to tap the back arrow at the bottom of the screen to free the viewer to see all available photos. 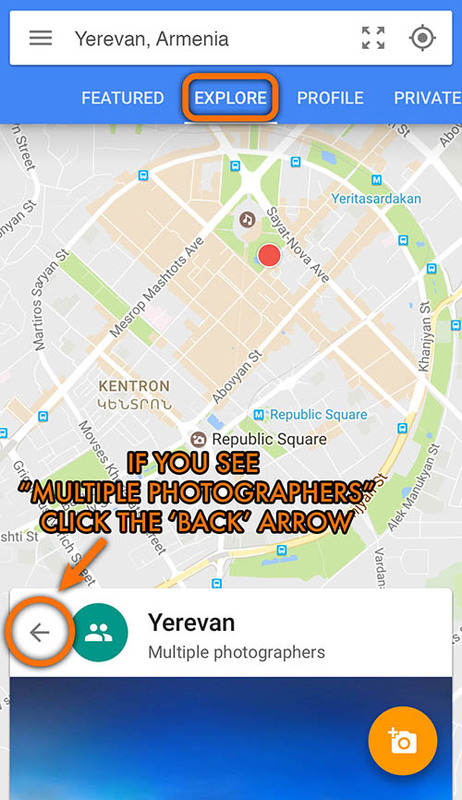 (c) 2018 Copyright Armenia360 All Rights Reserved.